As your Wayzata area Porsche dealership, we’re dedicated to delivering high-quality service to you at every step of the car ownership process. That means providing authentic Porsche OEM parts to our customers, whether you’re planning a DIY home auto project, need repairs at our dealership, or want to improve your car with new accessories. In the Parts Department at Porsche Minneapolis you’ll find a large inventory of factory OEM parts in stock at all times. Our parts staff is very knowledgeable and will help you locate the specific part for your Porsche 911, Macan, or Panamera. You can even order parts from us online and we’ll have them ready for you to pick up in our Parts Department at your convenience. Remember to check out our parts specials to find some of the best deals in the Orono area. Superior Engineering – The same superior engineering that goes into a Porsche vehicle is evident in every Porsche part and component, no matter how small. Reliable Performance – Porsche Genuine Parts are manufactured to provide a perfect fit with your specific Porsche model, so you can depend on them to perform as expected and have a longer lifespan than aftermarket parts. 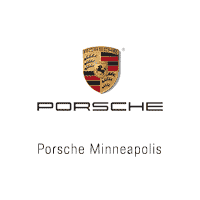 Protect Your Investment – With genuine Porsche OEM replacement parts installed by the certified technicians at Porsche Minneapolis, your vehicle will last longer and maintain its maximum resale value. Warranty – All Porsche Genuine Parts are backed by a limited 2 year warranty. If you have any questions, or would like more information, please don’t hesitate to call our parts department directly at 952-314-2609.